Built from the ground up with the latest in energy efficient components and technologies, this product is ideal for operators which demand the most of their kitchen equipment while still being conscious of energy and the environment. 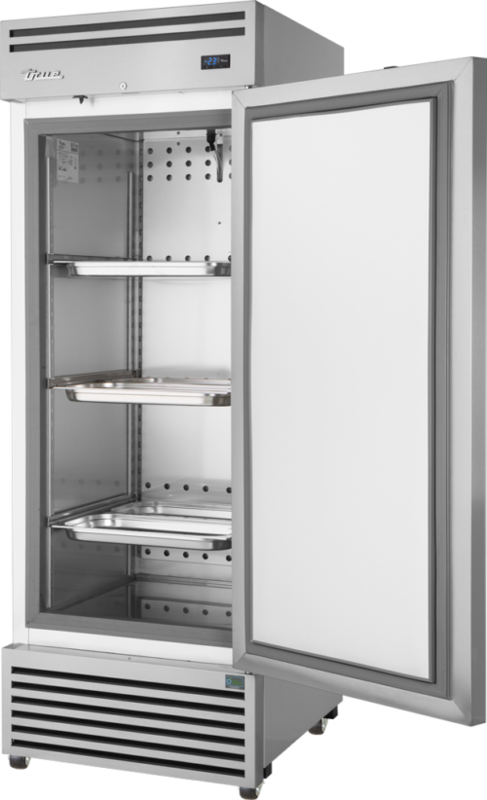 Our TGN is a high-capacity chilled or freezer cabinet option with a comparably small footprint. 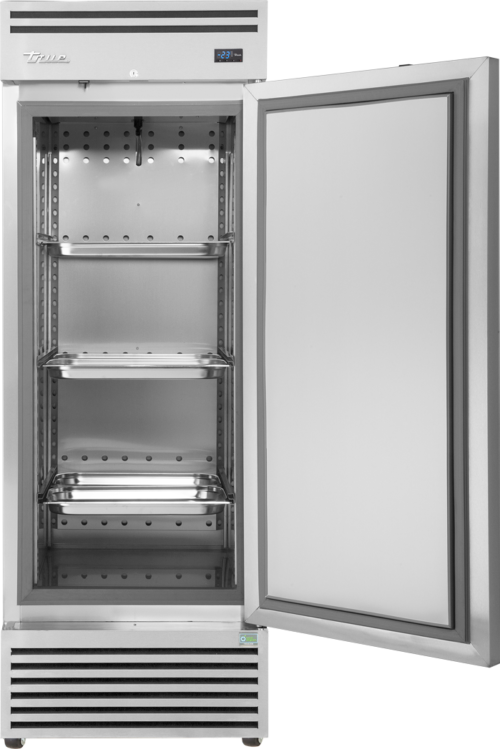 Its ‘E-shaped’ dual tray slide system accommodates a wire shelf and a 2/1 or pair of 1/1 GN pans to make full use of the cabinet interior space (3 sets supplied per door section). Features an all stainless-steel front with a sleek, heavy-duty metal handle. 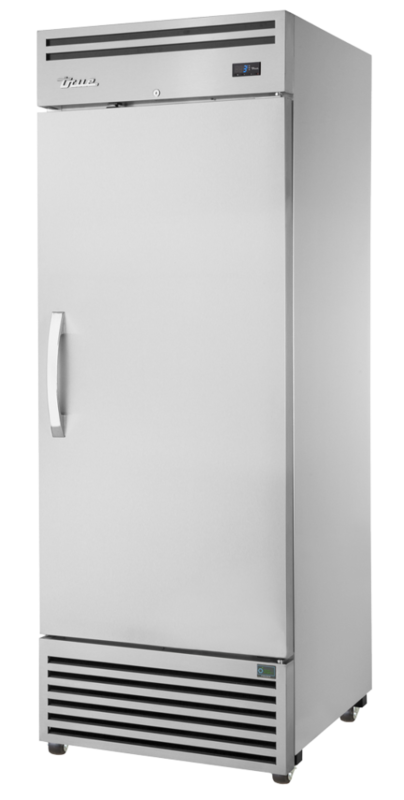 A field-reversible door hinge allows for easy changing between left-opening and right-opening door options, as required. Our TGN units are 100% front-breathing, requiring zero operating clearance to the unit sides and back. This allows for built-in installation to maximise the workspace available in your kitchen. R290 refrigerant is an environmentally friendly gas with superior thermodynamic properties, resulting in quicker temperature recovery, fewer breakdowns and, when harnessed by the latest components, significantly lower energy consumption. Compressors perform better in the coolest, most grease-free area of kitchen. These True upright units feature bottom-mounted systems, for improved operating efficiency and easier access for routine compressor cleaning. Our patented reversing condenser fan motor reverses during defrost off cycles to help keep condenser coil free from dirt, dust and debris. This optimises the unit’s performance, increases energy efficiency and reduces system failure. Standard on HC product models. Innovative refrigeration for any environment. Through extensive development and testing, True is balancing hydrocarbon refrigeration systems with the latest in energy efficient components and our own patented technologies. 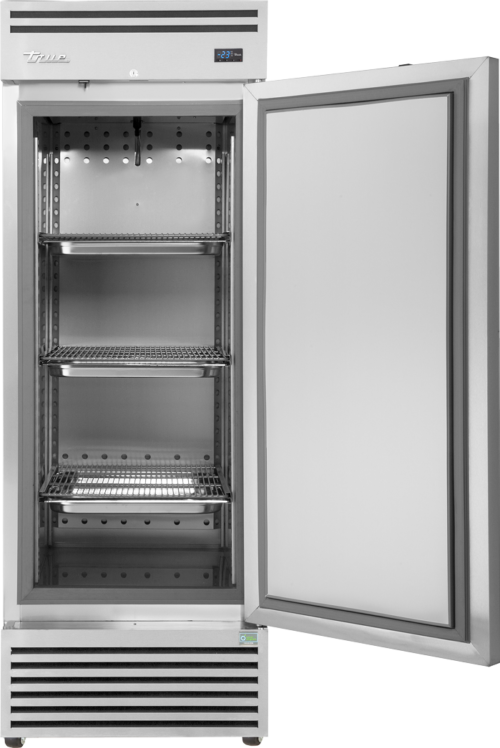 Our products maintain consistent, accurate and safe storage temperatures, even in the most demanding foodservice environments. True’s Hydrocarbon products harness the power of R290, a naturally-occurring propane gas, to produce highly energy efficient and environmentally friendly commercial refrigeration equipment which doesn’t sacrifice on performance. All True products are supplied with a five-year parts and labour warranty as standard. Our UK-based customer and technical support teams are waiting to take your call. We ensure quality by having complete control of our full manufacturing process. Every True product produced is the result of over 70 years of experience. Quality is assured. 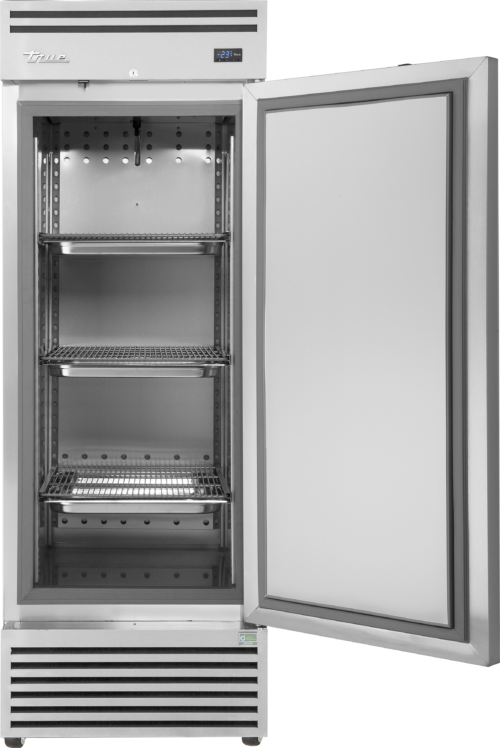 Our complete refrigeration equipment range includes over 300 industry-leading products, with sizes, options and accessories to fit any application. True products are available from leading distributors nationwide. Equipment is dispatched from our central UK facility and usually delivered to site within 48 hours of acknowledgement.